Jigarthanda earns itself an ‘Average’ verdict this week but holds the potential to promise much more in the coming weeks. Karthik Subbaraj’s dad is Nanditha’s dad too! Jigarthanda aka Jigarthanda is a Tamil movie with production by Kathiresan, direction by Karthik Subbaraj. 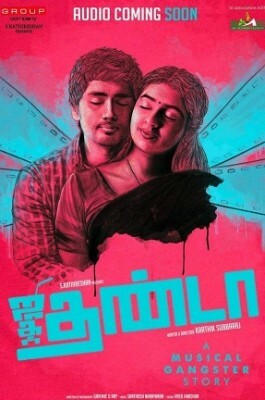 The cast of Jigarthanda aka Jigarthanda includes Lakshmi Menon, Siddharth.